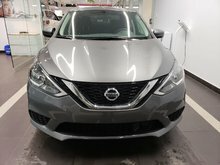 2016 NISSAN ALTIMA SV, GREY ON BLACK, VERY CLEAN, LOW KM (16,130KM), NEVER ACCIDENTED CARPROOF AVAILABLE, CAR STARTER, HEATED SEATS, 17" MAGS, BACKUP CAMERA, SMART KEY, XM RADIO, BLUETOOTH, AND MUCH MORE!! FINANCING AVAILABLE, EXTENDED WARRANTY AVAILABLE, BEST DEAL!!!! We are also open on week nights and Saturdays. Just a few minutes from downtown Montreal. Financing available 100% approval rate on 1st, 2nd and 3rd chance. Starting at 0.9%. Vehicle inspected by our certified technicians. Carproof available. Best price warranty. Come see the vehicle and benefit from our friendly and stress free service. 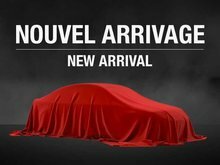 And if you ever change your mind, you have 5 days or 1000 km to bring back your vehicle and get a different one from our 300+ cars (See details at dealer).